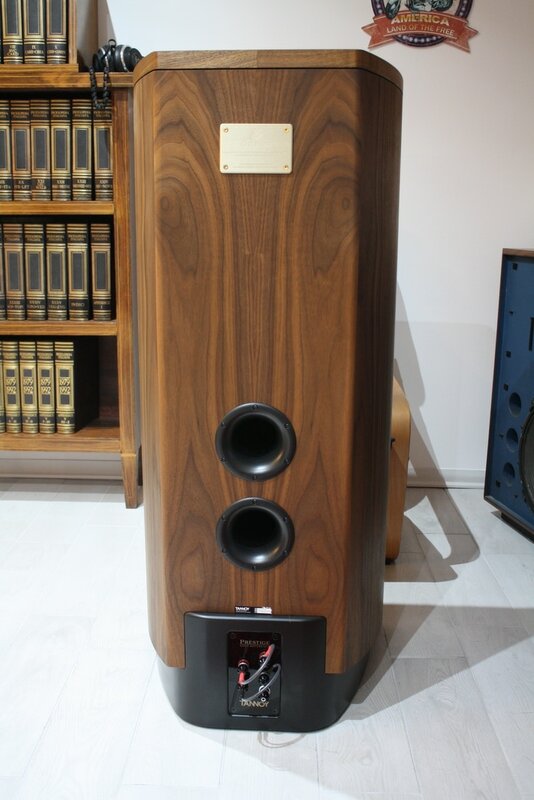 Tannoy is a British manufacturer (now the brand is owned by the multinational corporation Music Group) known to anyone who is interested in high fidelity, from its very beginning. It’s a name always on everyone's lips, and that has often divided the audio enthusiasts, as happens to the best. Some speak enthusiastically about the Tannoy sound, others not so well. I’ve had several experiences of Tannoy speakers listenings, in my now fairly long life, getting impressions not always comparable. I really loved the sound of the Kingdom Series and I remember with enthusiasm the Kingdom 15 - now discontinued and replaced by the Kingdom Royal - sounding great. I also had the opportunity to deepen, a few years ago, the sound of the Westminster Royal (now replaced by the Westminster GR), matched with Accuphase electronics, and I heard an amazing sound quality. 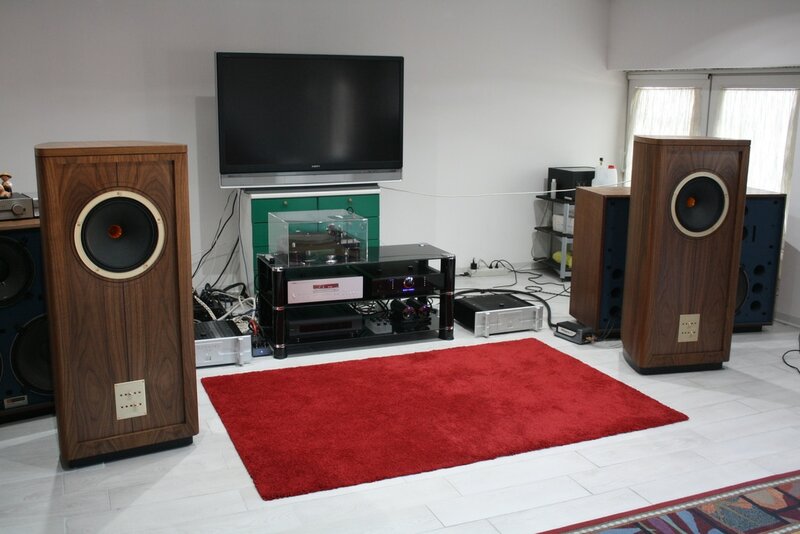 I have also listened a friend of mine’s Tannoy Stirling sounding pretty bad, probably because badly amplified or poorly positioned in the listening room. I usually don’t put my hands on other people's systems, unless it is specifically requested, so I never investigated. About the Tannoy sound we can read everything and more, but the fiercest critics usually judge after listening in the audio shows. I'll be honest: I’ve also often heard Tannoy loudspeakers playing in an unsatisfactory manner, in the shows. Don’t ask me why, because with the same electronics they can go very well, in other contexts. 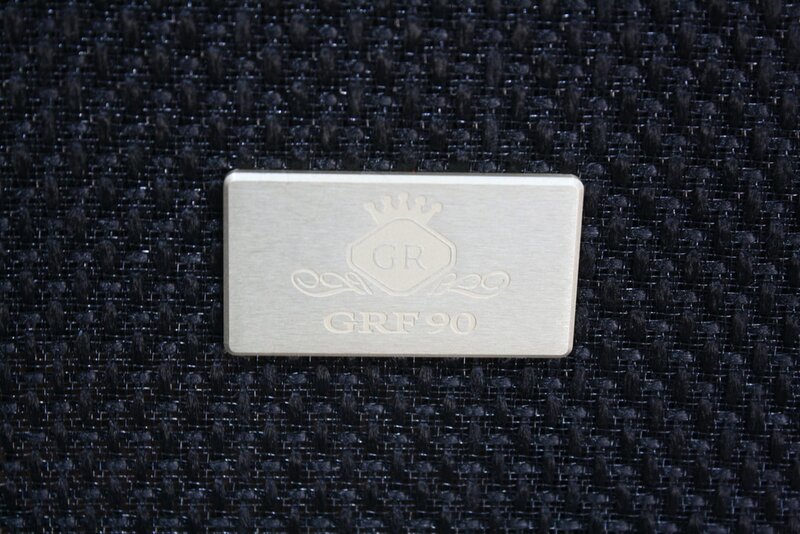 So you can imagine my curiosity when High Fidelity Italia, the Tannoy Distributor for Italy, offered me to test the GRF 90 loudspeakers, produced in 90 pieces limited series. 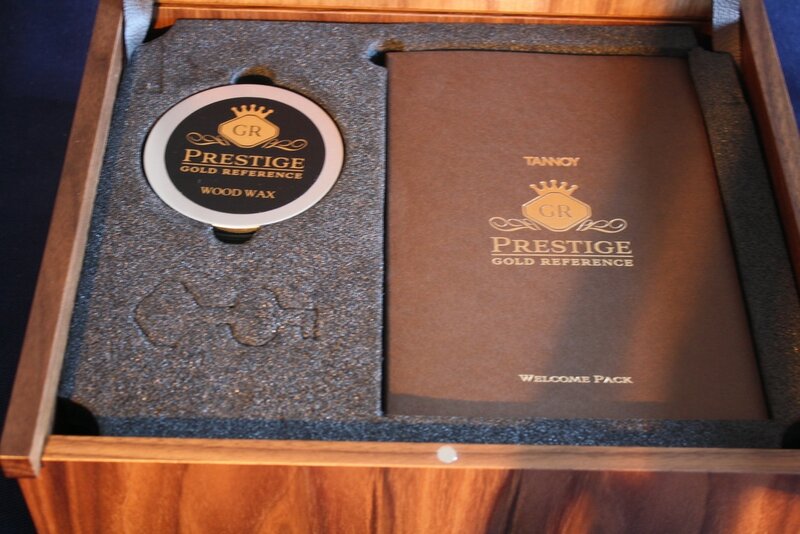 Finally I could get my hands on a pair of Prestige GR Series Tannoy and hear what they can do. 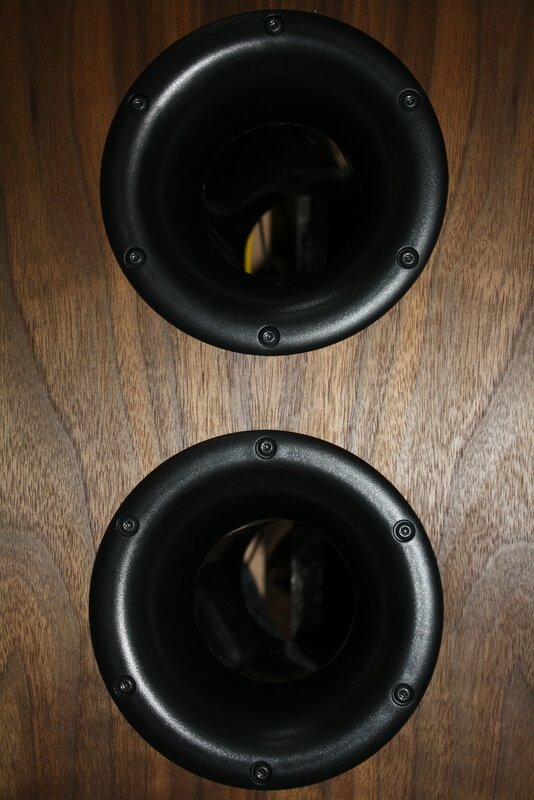 The first thing I noticed when they arrived was the footprint of the packaging and the weight stated in 99.5 kg for each speaker. Since in Audio-activity.com we are not used to lose heart, I asked for an help to the inevitable Domenico Pizzamiglio and two other friends, to take the heavy speakers to my listening room, without running ourselves into the ground. 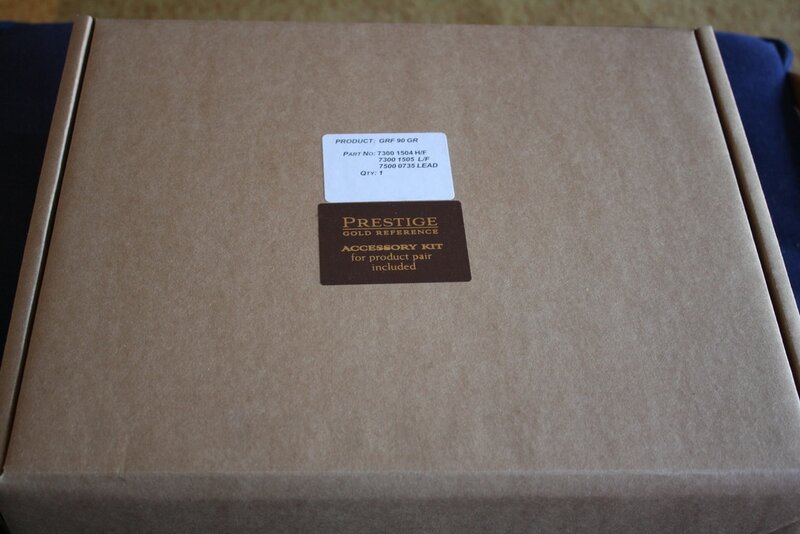 We will do the same when we will pack them to send them back to the Distributor’s warehouse. Let's talk about Tannoy and its current production. 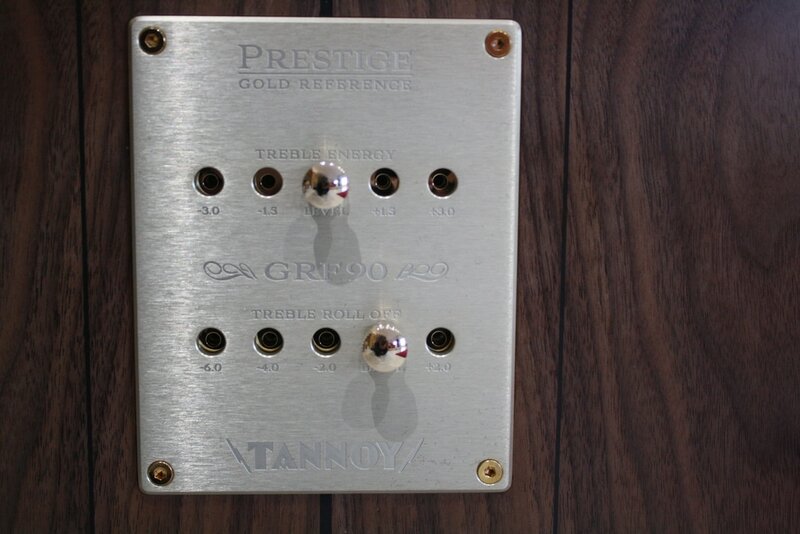 Tannoy is a historic brand in the high fidelity world, founded 90 years ago in London by Guy R. Fountain (does the acronym GRF ring any bells? And the number 90?). 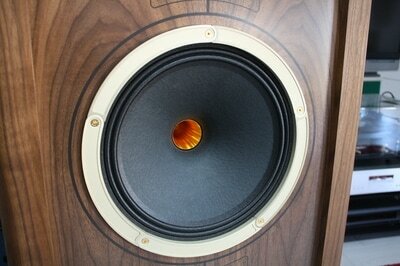 In 1947 the famous Dual Concentric driver was invented, and it’s still used, although after several updates. You can read the history of the British company in the Tannoy website. 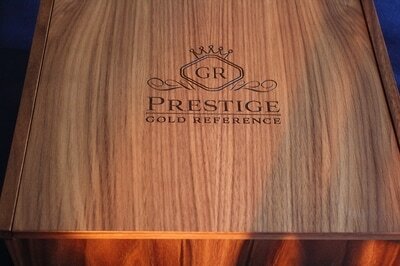 The current production consists, for what concerns the two channel high fidelity, of 4 Series: Hifi, Prestige, Prestige GR and Kingdom Royal. Each Series consists of several models that you can see on Tannoy’s website. As you know, the Audio-activity.com policy is to write reviews as short as possible, being well known that the readers of the articles on the net maintain a concentration for a shorter time rather than the printed articles. Well, it's time to move on to see in practice what we have to describe in this review. 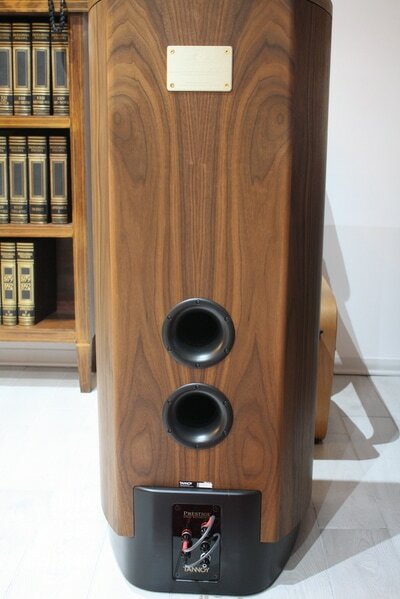 The GRF 90 model is of fairly recent presentation and at a first glance looks like a classic, not moving away from the shape of the other Prestige Series loudspeakers. The dimensions are rather impressive (124x55 cm) (48.8x21.7 in) and inspire respect. 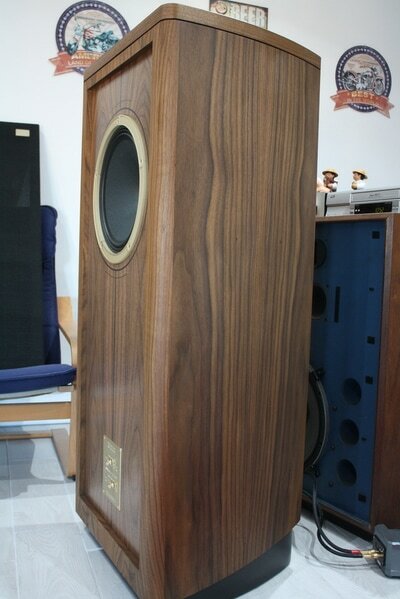 Once removed the very well finished grilles, equipped with an elegant knob, at about ⅓ of the height, the 12" dual concentric driver is displayed, on a wooden panel wonderfully finished. At the bottom, still on the front, we find the classic golden colour control panel, which allows to vary the treble response +/- 3 dB from 1.1 kHz to 27 kHz and the high range roll-off from 5 kHz to 27 kHz, simply moving the two pins. In my listening room I did not need to use them, and I have left both in the "level" position, which is the one that expressed the best linearity. 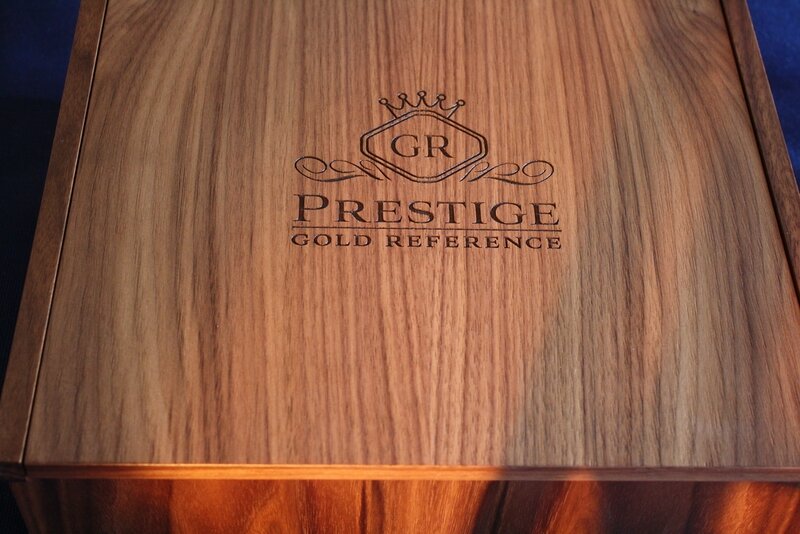 The sides of the cabinet are strongly curved and tapered towards the rear, also superbly finished and provided at the top with a plate that informs us of the fact that the GRF 90s are designed and manufactured entirely in Great Britain. Then, we see, the two big reflex ports and the binding posts, the excellent WBT NextGen. Also in this model, they are 4 to bi-wire, provided with 4 excellent quality jumpers - housed in a luxurious wooden box that contains the massive cone pads - plus the Tannoy-usual grounding binding post, connecting the driver frame to an external ground. The user is free to connect it if he think this is useful. The overall impression is of great opulence and quality, and the speaker is recommended for large rooms. 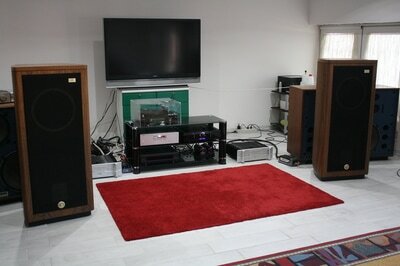 Our listening room is almost 60 sq.m., therefore perfectly suited to make the GRF 90s sound at their best. These are the specifications: 1 concentric 2-way driver, crossover frequency: 1.1 kHz. The sensitivity is 95 dB. 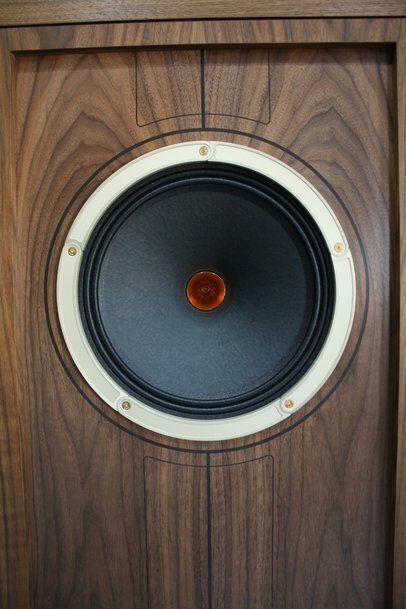 The woofer is a 12” paper cone with a twin roll impregnated fabric surround and an AlNiCo magnet, while the tweeter is a 2” aluminium/magnesium alloy dome with round wire voice coil, loaded with a waveguide that Tannoy calls PepperPot, probably due to the holes at the the base of the small waveguide. 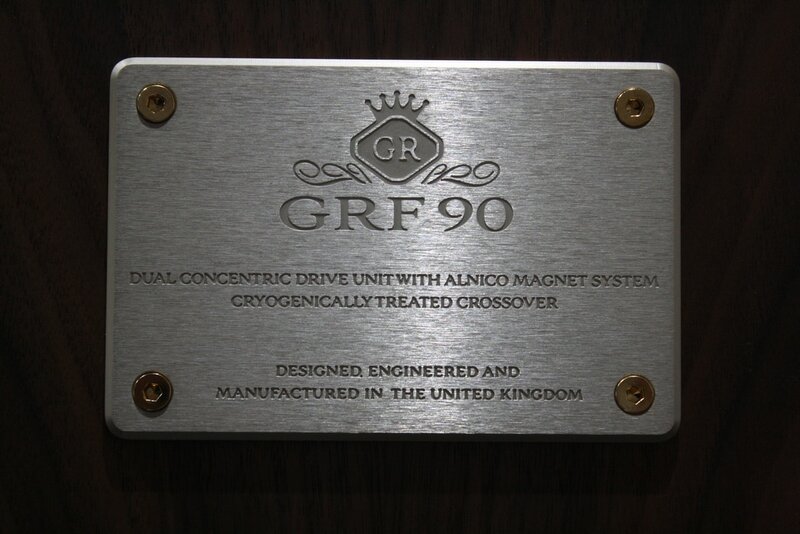 The crossover is described as "minimalist"; it utilises high quality components, and is cryogenically treated. The cabinet, made of birch plywood and veneered walnut, is extensively braced internally, in order to minimize the resonances. The impedance is 8 Ohms, with a minimum of 5. The frequency response goes from 24 to 27,000 Hz, at -6 dB. turntable: Basis 2001, tonearm Graham 2.2, cartridge Lyra Kleos, phono preamplifier: Einstein "The Turntable's Choice", CD/SACD player: Yamaha CD-S3000, multimedia player: Oppo 105 D, preamplifier: MBL 4006, power amplifiers: Bryston 7B³, loudspeakers: JBL 4350B, interconnect cables: MIT Oracle MA-X Proline, MIT Shotgun S2 RCA, Transparent Super XLR, Transparent Super RCA, Cammino PH B 2.2 Ref XLR phono cable, loudspeaker cables: MIT Magnum MA, Vovox Initio, USB cable: MIT SL-Matrix USB, power cables: MIT Shotgun AC 1, Black Noise Pearl and others DIY, mains distributor: Lector Edison 230/8, mains filter: Black Noise 2500. I start, as always, with the speakers placed parallel to the wall and from that starting position, I slightly tilt them towards the listening point. I’m always very careful when I tilt the speakers, because I like to take advantage of the drivers dispersion, to get the best compromise in the soundstage between the width and the precision in the center. Even the timbre is affected by these movements, so you have to work up, in order to squeeze the best possible from the speakers. Finally, the position that I thought was the best to combine the different needs, has seen the speakers tilted just a few degrees toward the listening position. Rather curious how Tannoy recommends to cross the emission axis in front of the listener’s nose. It's a solution that should certainly be good if the speakers are placed in the corners of the room, in order to avoid early reflections, but not in my case, as the center of the woofer is more than one meter and a half from the side walls. Let’s start with a vinyl: Louis Armstrong & Duke Ellington "Recording Together for the First Time" (Roulette, Reson reprint). 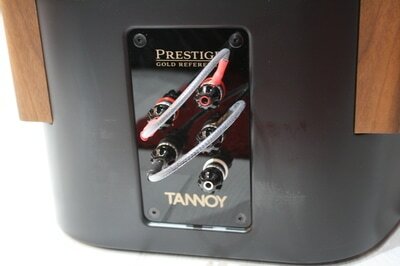 This recording has an incredibly beautiful sound, and the Tannoys shine with their own light. The Satchmo trumpet doesn’t lose on dynamics, during the short solo in the famous "Duke's Place". The bass is pretty much “true”. Armstrong's distinctive voice has the presence that can be expected and I do not perceive any annoying coloring. I keep listening to the overall record with great pleasure, the review can wait. This music is beautiful. The sound of the hi-hat is quite dull, exactly what they used to put on the tape at that time, and is opposed to the shining of the sizzle cymbal. "The Strauss Family" is an interesting box set of 8 CDs in which Willi Boskovski conducts the Vienna Philharmonic Orchestra (Decca). I listen to it the day after having listened live some of the tracks of this CD, and I must acknowledge that, with the differences in the executions and the recording environment, it is close enough to the ideal sound, in terms of dynamics and the soundstage of the orchestra. I’m not talking about the timbre, as the different recordings of this CDs were performed in 30 years and with different recording techniques, and are not constant. To achieve this great sound, one needs a bit of freedom, experience and ability to place the loudspeakers and the listening position. Anyone telling you that buying a certain component of the system you will immediately reach the Paradise, is fooling you. Similarly, I fear, some of my colleagues who review loudspeakers of such a big size, or larger, in 20 square meters living rooms size, maybe cluttered with bookshelves, chairs, tables and sofas, are fooling you. So, with a little patience, we got an amazing sound with these Tannoy GRF 90s. Back to our Wieners, we have an example of the ability of Decca sound engineers. I refer in particular to the live recordings and to the most recent studio recordings, which have a very wide frequency response and a wide and deep soundstage. Usually, I listen to the loudspeakers without the grilles, which I don’t find transparent to the sound. This time, while I was putting them in place to take photographs and the music was playing, I noticed that the sound did not change in a noticeable way. So, I sat down to continue the listening, noticing another particular fact: the complete disappearance of the loudspeakers from the scene of the crim ... oops! of the sound. I realize it can be a psychological issue but from that time, the grilles have been left in place. As I have said before, I didn’t need to change the loudspeaker sound using the crossover adjustments, but it is nice to know that, in case of need, you can do it. Let’s now listen to the Concierto de Aranjuez by Joaquin Rodrigo, performed by the Academy of St. Martin-in-the-Fields conducted by Marriner (Philips LP). The Pepe Romero’s guitar sounds perfect, you can not believe it's gone through so much electronics during the sound recording, the making of the vinyl, and the playing stuff. The Tannoys sound perfectly. Dynamic, but always controlled in the low range, extremely responsive to the electronics that drive them, that I recommend to be very neutral and linear, not to disrupt the work that British designers made with these speakers. And about the album that I'm listening I suggest, dear readers, to listen carefully even the less famous Concierto Andaluz, composed by Rodrigo for the Romero brothers, all of them great guitar players. It’s an exciting composition. Two words dedicated to those who think that the Tannoy sound is too controlled, suitable especially for Classical music genres. I had a lot of fun with the vinyl "Powerage" by AC/DC, and in this moment I'm listening to Yes’ "Relayer" (LP Atlantic). The Chris Squire’s electric bass sound is fast and well intelligible, clear and well balanced, even in his lowest notes. When, in "The Gates of Delirium", the bass and the voice play the same notes, the sounds are well distinct, while the Steve Howe’s guitar penetrates into the brain, as it should be and as it happened live during a YES concert some years ago, here in Milan. The top range is exempt also from criticism. Finally, I have to draw conclusions. 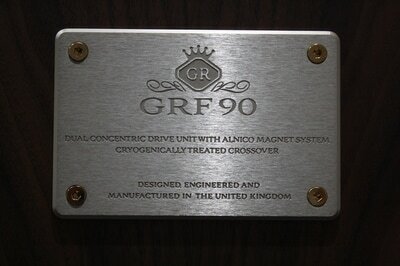 The sound of these GRF 90s is balanced, sweet or hard, depending on what is on the record. A full and always perfectly controlled bass, as the woofer surround promises, sign of reduced excursion and distortion. The midrange, if you come from the monitor sound of my JBLs, appears at first slightly backward, but after a few minutes you realize it's perfectly balanced with the rest of the frequencies, while from JBLs is highlighted in a special way, as required by the different design. As soon as we started playing music with the Tannoys (we were four people, remember?) we looked at each other, amazed at how, with the speakers placed without any care, the sound was healthy and the ability to play at very high pressure levels, to fill my large music room with no signs of distortion or effort. 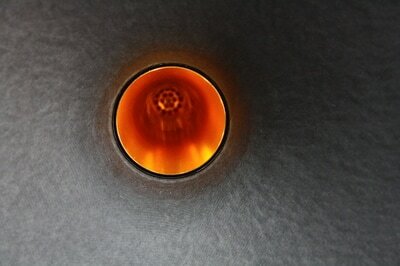 The Tannoy colored sound is just a faded memory. In the past, I have found some explanations to the fact that Tannoy has in its catalog a supertweeter and I once listened to it with the Westminsters, as I recall. The top range of some of the old models seemed to lack that bit of air that makes the music more enjoyable. 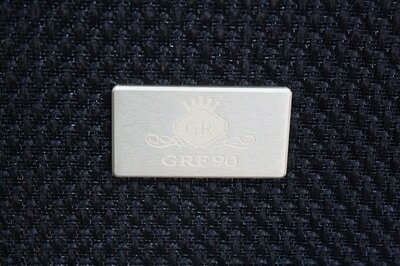 With these GRF 90, although they never insist on high frequencies with annoying effects, we don’t need to have something more in the top range. 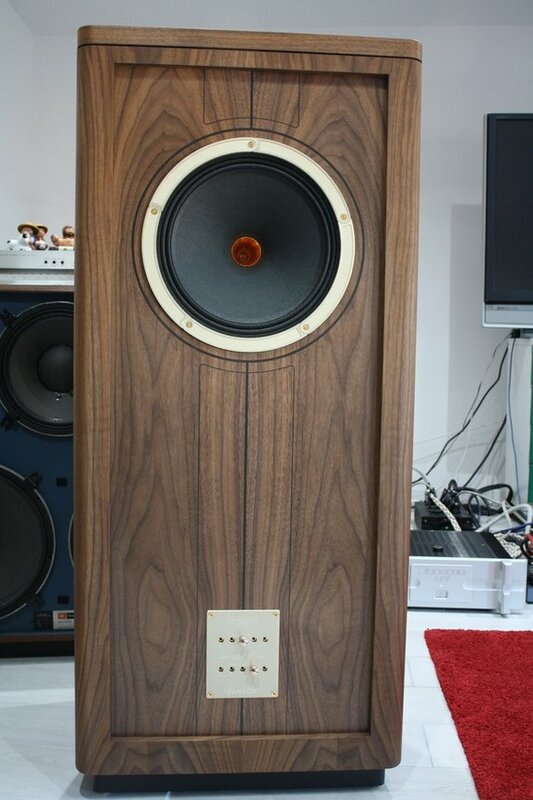 Great, really great loudspeakers. Their price is high but the alternatives, all the alternatives, are likely to be lower in performance, brand reputation and appearance. Hurry, go to listen to them, before they sell the whole stock. 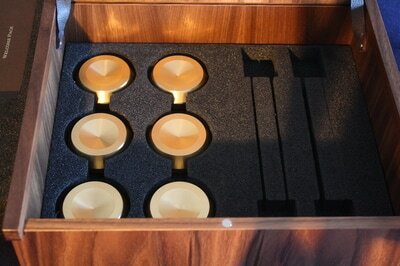 If you are so lucky to afford them, I think you’ll become a Tannoy owner.